We are Consumers Energy, Michigan’s energy provider and the career destination for driven professionals serious about service. We offer more than just jobs at Consumers Energy; we offer careers with development, growth and stability. 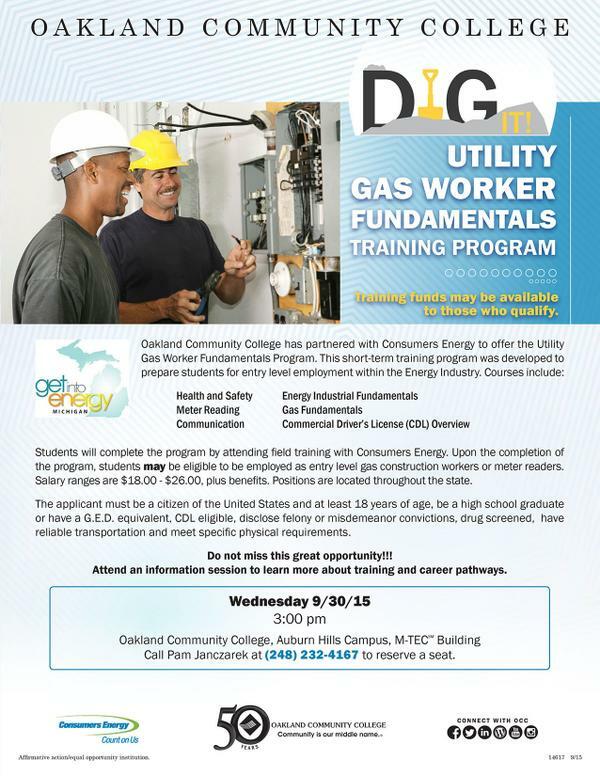 Learn how Oakland Community College’s seven week Utility Gas Worker Fundamentals Training Program can prepare you for careers in the energy industry. 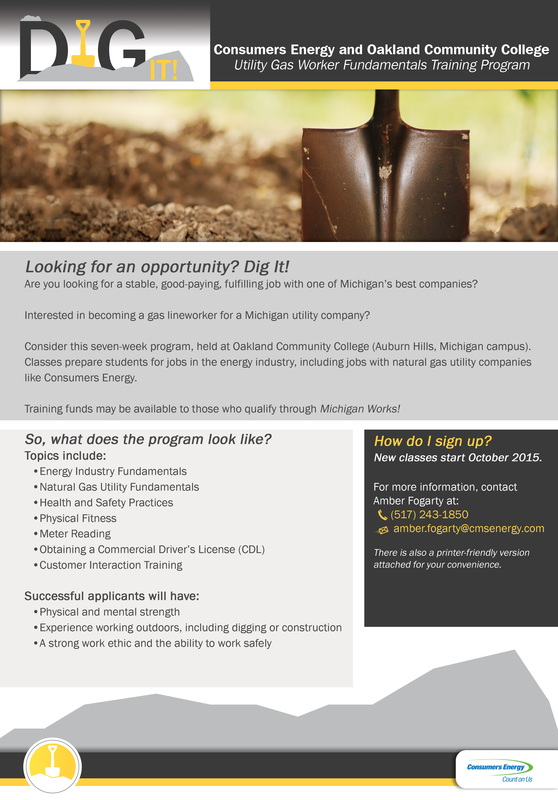 Apply by Oct. 2. Classes begin Oct. 15. Click the flyers below for more details.